Matt Wilson, charging some deep Alta powder. This is a cropped framegrab from a video I recorded with the new Sony 4k Action Cam. I hope you enjoyed that video. Although I keep thinking of things I missed and could have done better, I think it does a pretty good job of conveying how great the skiing was on Tuesday. I’ve been playing with Sony’s new 4k Action Cam for a few weeks now but this was the first time I had any footage actually worthy of editing into an finished video. Keep your eyes open for more from me on the new 4k Action Cam. I’m pretty excited about it – I even bought a GoPro Hero 4 Black so I can do a straight up shootout between the two cameras. 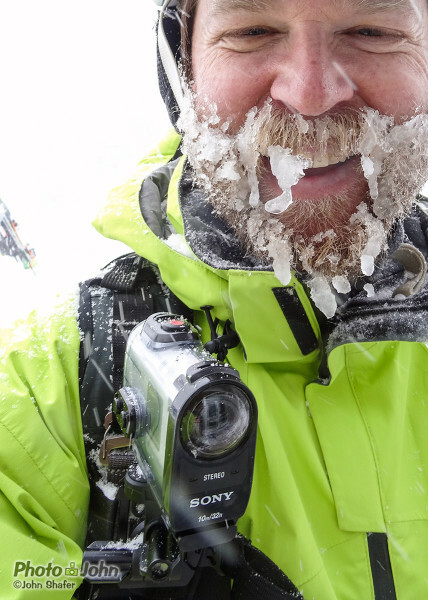 The Sony 4k Action Cam mounted on the shoulder strap of the camera pack I ski with – the MindShift Gear Rotation 180 Professional. This was a great video. It really made me want to be at Alta. 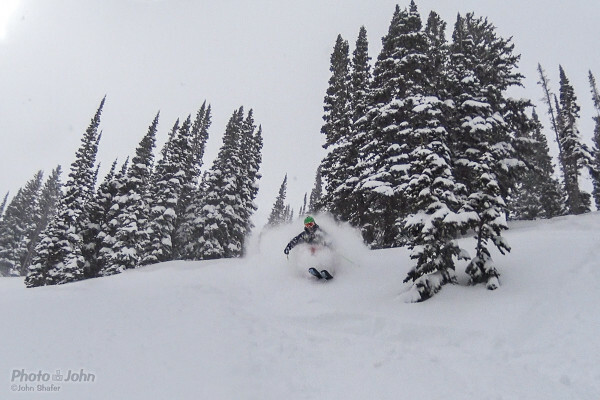 Maybe someday I’ll get to ski powder like this again.